Social Security Disability (SSD) benefits are not only available to people who have been severely wounded or disabled through an illness. People with certain mental disorders may qualify for benefits as well. However, if you attempt to qualify for SSD benefits, your condition must meet the Administration’s requirements. 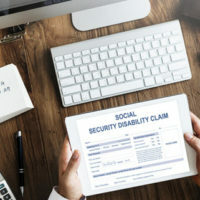 By working with an experienced New York Social Security Disability attorney, your chances of receiving benefits are greatly improved. According to the Social Security Administration, there are 11 categories of mental disorders that a person can have that would make them eligible for SSD benefits. The mental abnormality has been proven by medically acceptable clinical and laboratory diagnostic techniques, and the medical evidence has established that the claimant suffers from it. The claimant’s trusted and regular medical practitioner is preferred over anyone else, as they have the most intimate knowledge of the condition, its severity, and what it entails for the claimant in terms of disability. While it is necessary to provide medical evidence in your claim, the Social Security Administration will often ask (and help) the claimant to provide additional medical information in the form of hospital visits, clinics, and other healthcare facilities. The severity of the medical mental health condition and the medically established period of time for which you have had it will help determine whether or not you are eligible for SSD benefits. Substantial Gainful Activity (SGA) is the amount you earn on a monthly basis, which is used to determine your eligibility for SSD benefits. If you are current monthly earnings are $1,170 or more, or $1,950 or more and you are blind, you will not be eligible for Social Security Disability. SSD benefits are calculated based on your Average Indexed Monthly Earnings (AIME), or the amount that you have paid into Social Security taxes. An attorney can help you more accurately figure out what you can expect from benefits. For those who are living with a severe disability that significantly impacts their earning ability, Social Security Disability may be a viable option to help put food on the table. Social Security is a program that we have all paid into, and it is a right of all of ours to make use of it when needed. For assistance, call the Law Office of Michael Lawrence Varon in White Plains today.